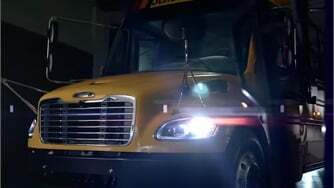 In addition to having its electric powertrain in Trans Tech’s SSTe Type A school bus, shown here, Motiv Power Systems’ powertrain will also be in the Starcraft eQuest XL, which can seat 48 passengers. Consequently, it could just be a matter of time before the school bus market introduces more electric buses into its fleets, following in the footsteps of the transit market, says Fraser Atkinson, executive chairman of Canada-based GreenPower. Production is growing and driving costs down, and battery capabilities are improving. 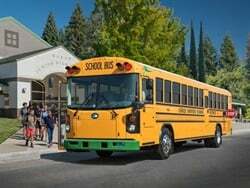 Also in California, retrofits for six buses going to the Torrance Unified School District, Napa Unified School District, and Edison School District in Bakersfield are in the home stretch, says Joshua Goldman, vice president of business development at TransPower, a supplier of heavy-duty electric drive technology. Two of the 1996 Blue Bird Type C school buses are also being retrofitted with vehicle-to-grid technology for each district. In addition to having its electric powertrain in Trans Tech’s SSTe Type A school bus, Motiv Power Systems’ powertrain will also be in the Starcraft eQuest XL. The electric powertrain supplier has partnered with Creative Bus Sales to develop the Type C school bus, which can seat up to 48 passengers. That bus is being launched by Starcraft and Creative Bus Sales, says Jim Castelaz, founder and CEO of Motiv Power Systems. Motiv will test the first eQuest XLs and place them with some school districts for pilot projects later this year. 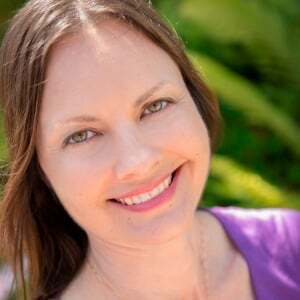 Meanwhile, two New England-based projects seek to bring electric school buses to the northeastern U.S., says Bethany Whitaker, senior consultant for Vermont Energy Investment Corp. (VEIC), a nonprofit that works to reduce the economic and environmental costs of energy use. 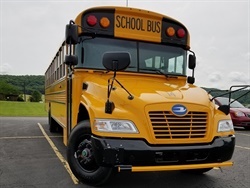 VEIC is conducting a feasibility assessment for operating electric school buses in Vermont, examining the budgets and capital planning of four self-selected school districts and the cost of the buses. 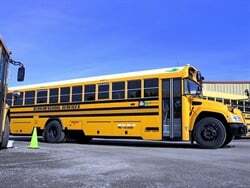 The second project, an electric school bus pilot in Massachusetts, is being administered by the Massachusetts Department of Energy Resources. VEIC will help the districts buy the bus and the vehicle-to-grid infrastructure. The Massachusetts project is believed to be the first deployment in the eastern U.S., Whitaker says. In November, Lion Bus delivered six eLion Type C electric school buses to school transportation contractors in Quebec, and now has over 20 of the buses on the road, says Marc-Andre Page, business development manager at Lion Bus. Lion expects to put a total of about 70 eLions into operation in the province by the beginning of the 2016-17 school year. 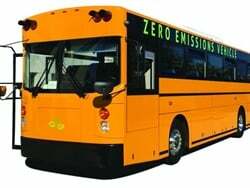 The biggest advantages of electric school buses, all sources say, are zero emissions, and that they provide the lowest and most stable operating cost of any fuel. TransPower’s Goldman notes that electricity is often cheaper and more efficient, even with today’s low diesel, propane, and CNG prices. Motiv’s Castelaz agrees, adding that electric buses pay for themselves over their lifetime. Electric school buses also require very little maintenance. Minimal lubricant is needed, and brakes need to be replaced much less frequently, since regenerative braking is done from the electric drive. Charging the buses at off-peak hours can save even more money. Of particular benefit to those aboard the buses is that they often run smoother and quieter, enhancing safety, Reynolds adds. “Without the engine noise, the bus driver can be more attentive to traffic and to what’s going on inside the bus,” he says. Meanwhile, over the last six months, higher energy density batteries that can power buses for a longer distance have been introduced, Clements says. The battery configurations generally offer 60 to 80 miles of range per 50% charge of a few hours, with ranges of 100 to 125 miles on the horizon. For example, the eLion used to have seven batteries. After a recent makeover, it now has four LG Chem batteries that can power the bus for longer. Additionally, for a slightly higher price, GreenPower’s 40-kilowatt charging system fully charges a bus in three hours or less, Atkinson says. “Compared to where this industry was five years ago, that’s pretty fast,” he adds. 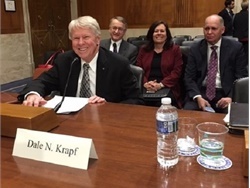 To maximize the range of an electric school bus, school transportation providers should consider garage and bus yard locations in relation to their routes, Adomani’s Reynolds says. One district the manufacturer worked with needed an 80-mile range, but their budget only allowed for a 65-mile range bus. On second glance, the district was able to move buses to different yards and cut the range down to 45 miles. Another benefit that is on the way is vehicle-to-grid technology, which uses a bidirectional charger to tap the energy stored in the bus’ batteries to power buildings during an outage or sell power back to the utility company, saving money on utility bills. Plugging the buses in to the building can send power back during peak loading, which releases stress on the grid and lowers the facility’s electricity bill. 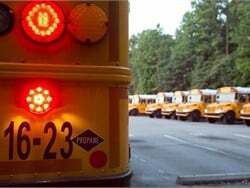 That is especially handy over the summer, when school buses are more available, and the grid experiences the biggest peaks due to air conditioning loads. 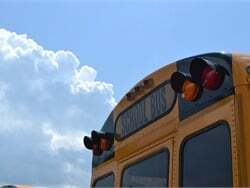 Some bus models have shown that each school bus could save a school district from $5,000 to $10,000 annually in utility bills, TransPower’s Goldman notes. Motiv’s buses can be upfit with software and hardware to enable vehicle-to-grid capability, and Lion Bus expects to have some vehicle-to grid capabilities beginning next fall. Kings Canyon is discussing possibly adding vehicle-to-grid technology on its SSTe buses with its utility company. Then again, there are many regulations governing how electricity is bought and sold in Massachusetts, Whitaker says. 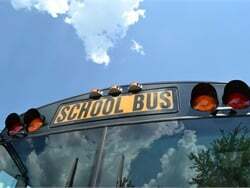 Because of that, the four school buses in the pilot may only be able to test vehicle-to-grid technology using solar panels at the districts that have them. New England has another hurdle that California doesn’t: much colder winters. 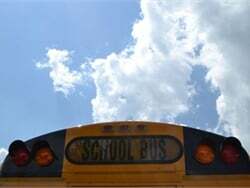 California’s electric school buses have typically not been equipped with heating units. However, because the Massachusetts Department of Motor Vehicles requires the buses to maintain a certain cabin temperature — for example, when it’s 20 degrees out, it has to be at least 60 degrees inside the bus — bus heaters are necessary. Heating the bus with an electric heater would drain the battery by about half of the bus’ range. For that reason, VEIC is looking into installing a diesel or propane unit heater on the buses during the winter. Lion offers two different heating systems: an all-electric heating system that produces zero emissions, and a fuel-fire heater from Webasto or Proheat. The heaters can be powered by diesel, propane, or gasoline, Page says. Electric buses may be safe, reliable, clean, quiet, and cheaper to operate, but they are still much more expensive to buy. The initial cost may put them out of reach for many districts without significant funding. 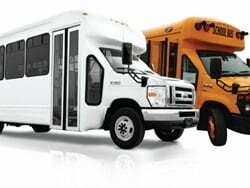 An electric school bus costs about $100,000 to $120,000 more than a diesel school bus; propane buses cost about $15,000 more; and CNG buses are about $40,000 to $45,000 more expensive, according to Adomani’s Reynolds. However, while there is a significant difference between the capital cost of an electric bus and a diesel bus, that gap is going to close quickly over the next couple of years, Atkinson says. Eventually, Goldman expects suppliers like TransPower to work with bus manufacturers on high-volume factory line installation to continue to reduce prices. He also points to the possibility of battery rent-to-own or lease programs for lower monthly costs than buying diesel. In November, Lion Bus delivered six eLion electric school buses to school transportation contractors in Quebec, and now has over 20 of the buses on the road. Incentives that essentially make an electric school bus the same price as a fossil fuel-powered bus abound in some areas. Currently two U.S. states — California and New York — and one city — Chicago — offer standing voucher programs that help offset the cost of an electric bus. 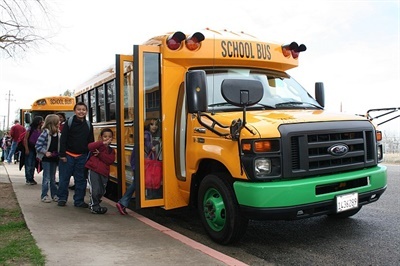 Moreover, the vouchers are administered through dealerships, so the school transportation provider doesn’t have any financial risk, Motiv’s Castelaz explains. “New York’s voucher is about $60,000, and Chicago’s and California’s are about $100,000 per electric bus,” Castelaz says. 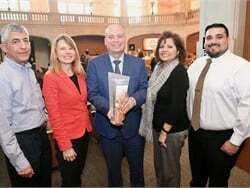 However, school districts that aren’t located in one of those areas can talk to their state and national legislators about California’s incentive program, which the other two are somewhat modeled on, he adds. Whitaker and Atkinson point out that California has much stricter emissions standards than anywhere else in the U.S., and that’s why electric vehicles have primarily been deployed there. The California Air Resources Board (CARB) gets recurring funding from a number of sources. The King’s Canyon buses and the TransPower conversions and chargers are nearly fully funded by state funding programs. Adomani and GreenPower also anticipate that their buses will be covered by funding from the state. There are also continued rebates available, especially in California, to provide significant cost reductions of electric buses where future purchases are often cheaper than diesel or natural gas buses. The state also offers low interest rates (below 4%) and long-term financing to help close the gap if districts can’t get sufficient grant funding, Clements says. However, what about school transportation operators that aren’t in California? The previously mentioned Massachusetts pilot is being funded by an initiative of the Northeast and Mid-Atlantic states designed to reduce greenhouse gas emissions. Clements says he get calls nearly weekly from pupil transportation providers in states such as Colorado and New Jersey who are exploring electric bus options and looking for funding. Some have found partial support from foundations, as with the Vermont study. New Jersey and some Southern states have made funding available for projects using solar power. Meanwhile, in Canada, the Quebec government unveiled a grant of $125,000 per bus for any contractors and school districts that want to go electric, Page says. As more school transportation providers are able to get financial support to buy the buses, test them, and realize the benefits, they will gain traction, Reynolds says. Even using lithium batteries, the range is going to be unimpressive. What will be impressive is the fire when the lithium batteries catch fire. Lithium burns fiercely and water reacts with lithium to form hydrogen. It's a hard fire to extinguish. The first car that crashes into a bus, the first rock that hits the battery sets off a lithium chain reaction that destroys the bus and anything within 100 feet. Just pray the kids can escape in time!